I know for a weekend retreat like 3 days 2 nights to Hong Kong Disneyland may sound short or not enough to go around. To optimize your stay, in order to get the best experience out from Hong Kong Disneyland, below is my suggested trip plan incase you wanna pay them a visit since Air Asia having so many promotions now. Plan your journey ahead and make the reservation whether to stay at Hong Kong Disneyland Hotel or Hong Kong Disney’s Hollywood Hotel. Fly with Air Asia 7.10am Flight and Arrival 11.05am. Have a dim sum session at Hong Kong Disneyland Hotel Crystal Lotus Chinese Restaurant or for HALAL FOODS Scroll Down at the bottom. Dinner at The Corner Cafe Main Street U.S.A.
Take photo at FANTASYLAND Fantasy Garden where you can take photo with your favorite Disney’s Friend. Go to Kowloon via MTR and do some last minute shopping and then head to airport for departing back to KL. To all my Muslim friends who have concern about Halal Foods, don’t worry. 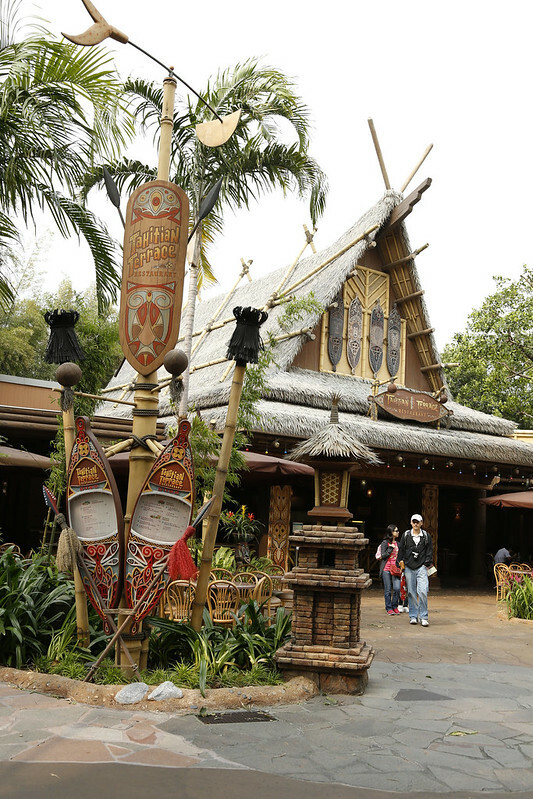 You can checkout Tahitian Terrace in Adventureland. In Tahitian Terrace, Guests will immerse in the tropical atmosphere of this restaurant and they will be able to taste the South Asian specialties, such as Indian vegetarian meals, Middle East Chicken Steak with Rice, Singaporean Laksa Rice Noodle Soup, etc. All food offerings provided by Tahitian Terrace are Halal certified. Certified by: The Incorporated Trustees of the Islamic Community Fund of Hong Kong. 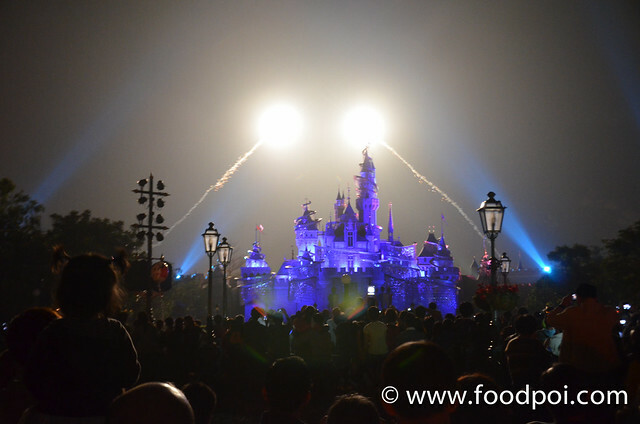 wow the castle is so beautiful with the fireworks display…enchanting! great travel tips! I wanna go! Previously, I had no idea of it. It is all magical and serene.If any one finds an opportunity to visit MUST do so.